I've been a premium user for quite some time now without any sort of problems, at least up until a week or so ago. Whenever I try to access the "Online" part of the application I get the following error no matter what I do. 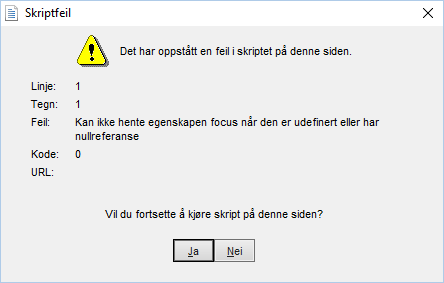 Yes, I've tried to empty the cache in Internet Explorer, and yes, I've tried to select no in the script error window and then refreshing. The script in question has not been modified since December and the line where error is reported had no updates since 2008. 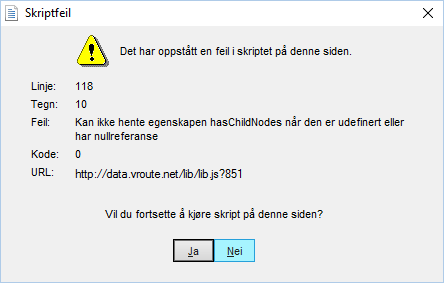 The whole message appears as if some part of vroute failed to load. Are you still experiencing this problem? Sorry for not getting back to you earlier. Yes, I am still having the same problems. So far I've tried running the program as administrator, reinstalling the premium version, installing the free version, even tried to change the windows language to English, no luck. Is there a chance you could install Fiddler and save a recording? To do so, fire up Fiddler, make sure it starts recording (open any website and check if Fiddler window fills up with some entries). Then start vroute and wait until the script error happens. Close vroute, and in Fiddler choose File | Save | All sessions. 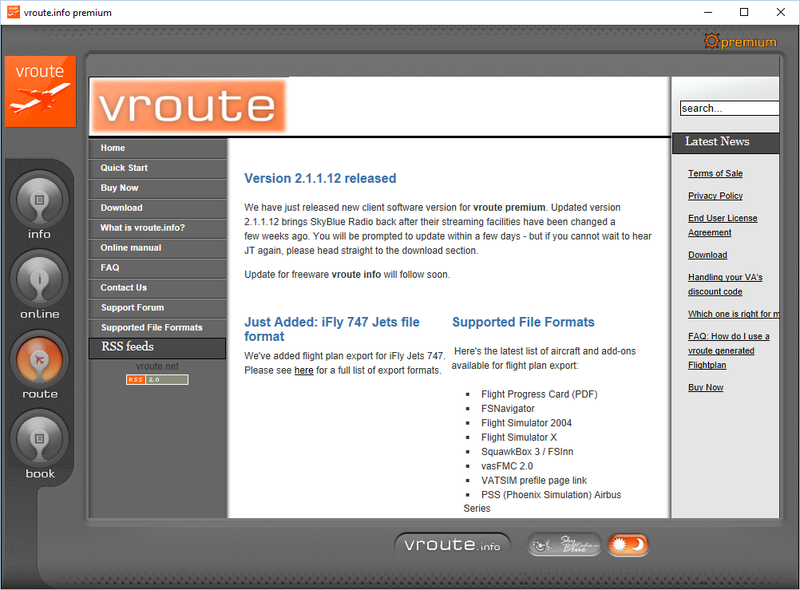 Then email the saved file to support@vroute.net. With this recording I will be able to see what is your computer receiving and how that differs from regular vroute operation. Edit: Had some problems getting it over via mail, had to send it via Dropbox instead. Posting the link here as well just in case. I've removed the link from your post, and downloaded the file. Will look through it asap (most likely on the weekend). Unfortunately, it did not reveal any irregularities. All files were fetched from server to your computer and there were no network issues. The only thing that surprised me was the comparison to your first screenshot - it says "line 118" while the line of code is actually 106. I made a small change on server - could you run vroute again and provide screenshot of the 1st error message? Hi having the same problems since two days ago. All of a sudden I can not get Vroute to work. It starts up with a blank page but showing EUROPÉ and then the notice as follows below when I try to se whos on line. A fault has been detected in the scriped on this side. Have removed and reinstalled a couple of times, what is my problems. First time ever on Vroute. The problem is solved. Was Windows latest update that was waiting for me to update. Was solved when I installed the update. Last edited by ridnert on Mon Aug 28, 2017 5:37 pm, edited 1 time in total. 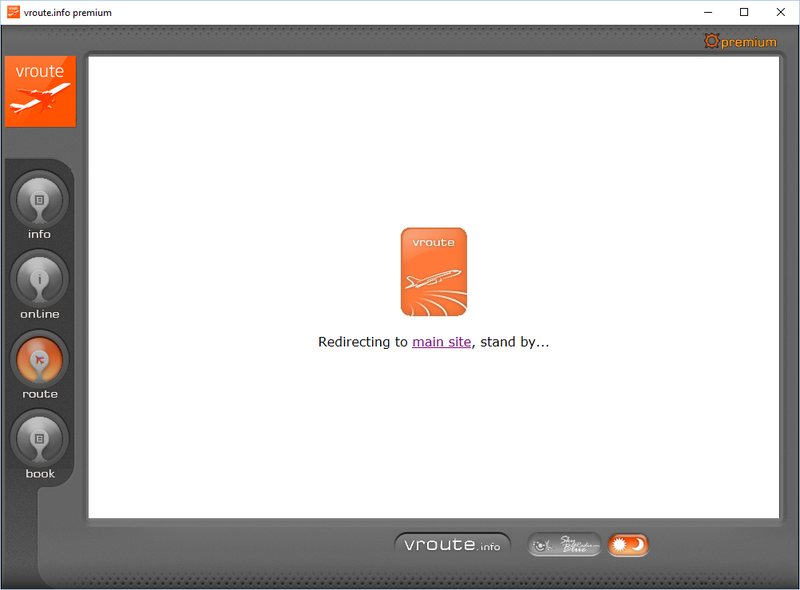 Usually this indicates some 3rd party program (browser plug-in) that affects vroute's files on their way to the browser. Please check your IE plugins configuration and disable any unnecessary ones.